The team over at Rise Performance has shared the first look at an all-new supplement it has coming down the pipeline. 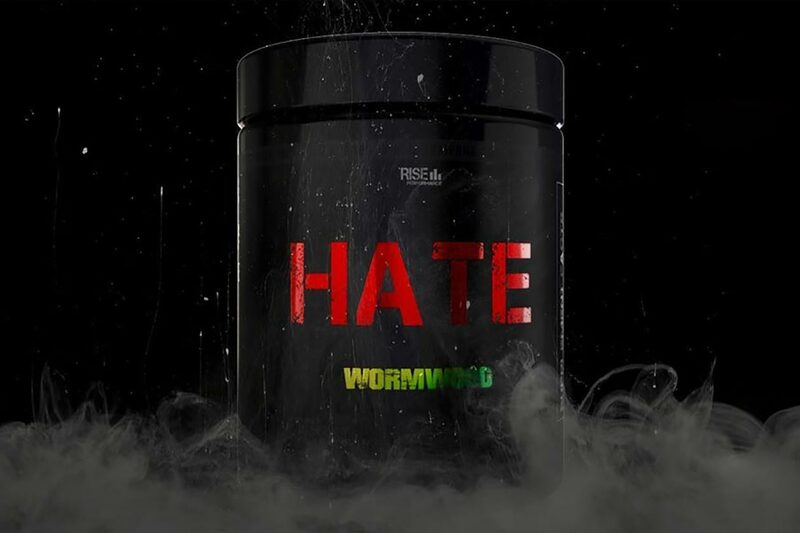 The supplement is called Hate, and while we do have a name for it, we don’t yet know for sure what category the brand will be competing in with this one. The upcoming Rise Performance Hate is a rather mysterious product right now with no tub or serving size revealed. The only real piece of information we have for it is that it will contain the branded ingredient Vaso6 and at a relatively heavy dose of 1g per serving. While the inclusion of Vaso6 does suggest Rise Performance’s Hate will be some sort of pre-workout, we can’t confirm that just yet. The brand does already have a stimulant and a stimulant-free pre-workout on the market, so we have to imagine it will fit in around those two. All we can really do at the moment is speculate about what Rise Performance Hate actually is, although more details will be coming in over the next few weeks. The supplement itself is due to arrive sometime within the next month over at riseperformance.us.